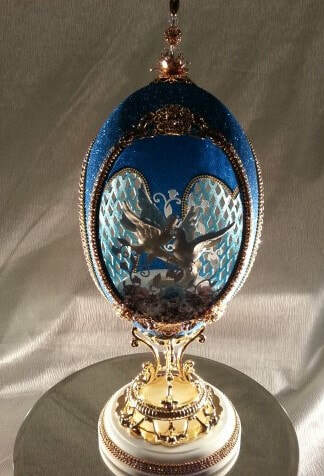 To purchase any egg design, please scroll down to the bottom of this page. 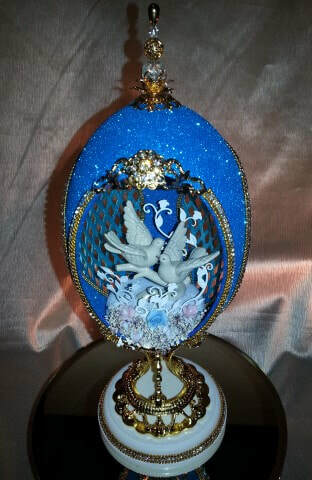 A large Rhea egg creates this wonderful wedding or anniversary egg. 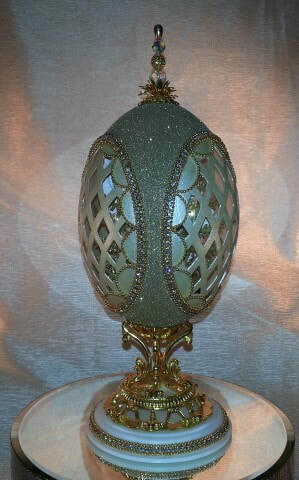 A lattice design is hand cut into the egg, giving it light on all sides. The rich champagne color and gold velvet glitter is used to add richness and sparkle to this design. 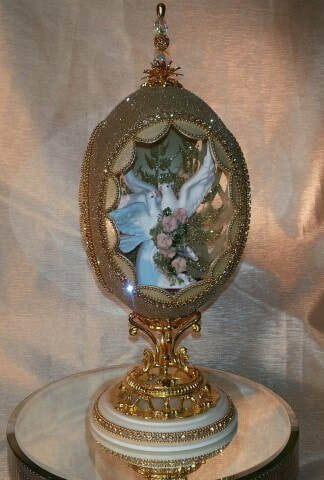 The egg is trimmed with Austrian Crystals and gold beaded chain. 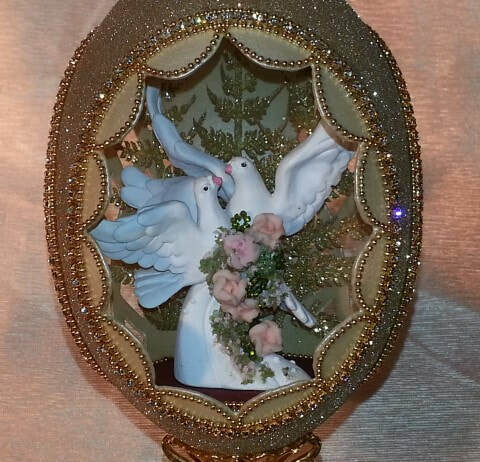 A pair of white doves accented with colorful clay flowers is added to the inside of the egg. A decorative gold plated stand sits a top a white Corian base encircled with a crystal Austrian chain. 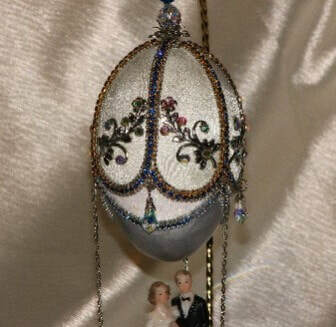 "White lace and promises; a kiss for luck and we're on our way..." Wish our bride and groom the best of luck as they embark on their wedded journey together in their goose egg balloon and basket. 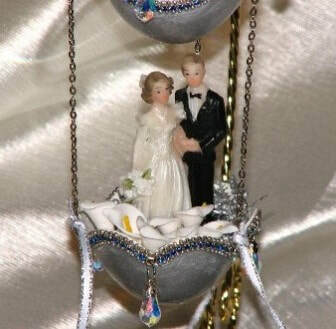 The newlyweds take off in style in their white satin and Austrian crystal balloon decorated with gold leaf filigree and pearls as they stand adoringly in their flowered basket. Crystals and colors can be changed to match your specific color scheme. 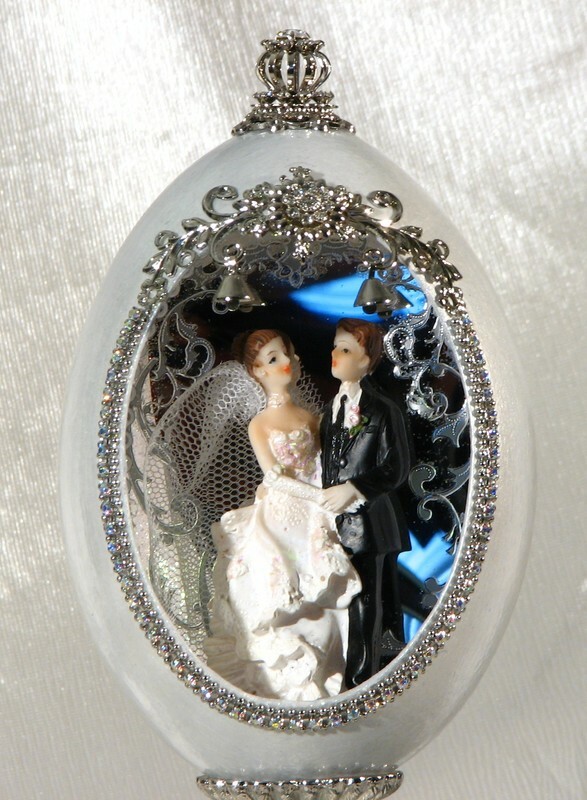 Bride and Groom's name can be added to bottom of balloon. This design makes a beautiful center piece for your reception. 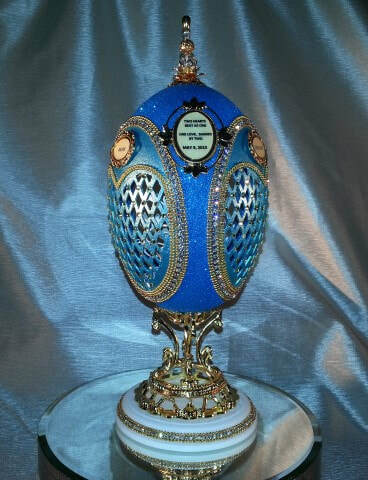 A decorative gold scroll stand is included with egg purchase. 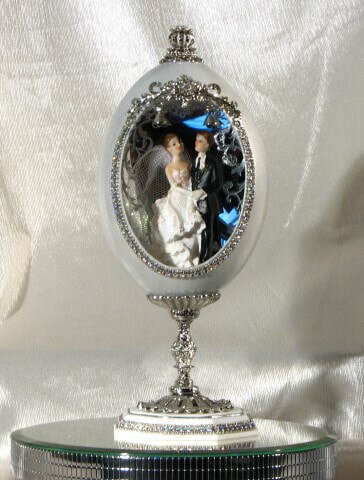 A beautiful heart shaped filigree cut Rhea egg is our main design for this wedding or Anniversary egg, The heart shaped cuts have our bride and groom names on the top of each heart. 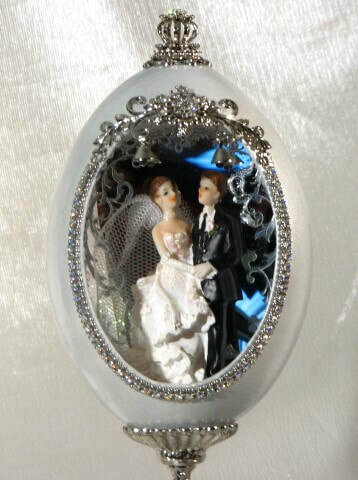 The design is outlined with Austrian crystal chains and Swarovski crystals. 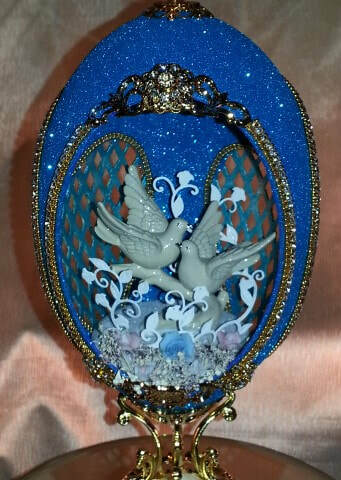 A pair of love doves are our main focus as we look into our design. 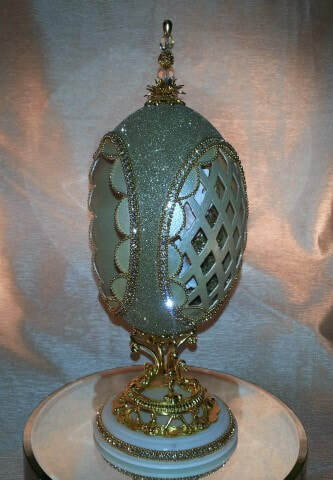 The egg is supported by a gold designed stand and decorated Corian base. 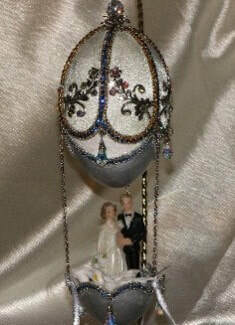 You can choose any color to match your wedding colors for the egg design.